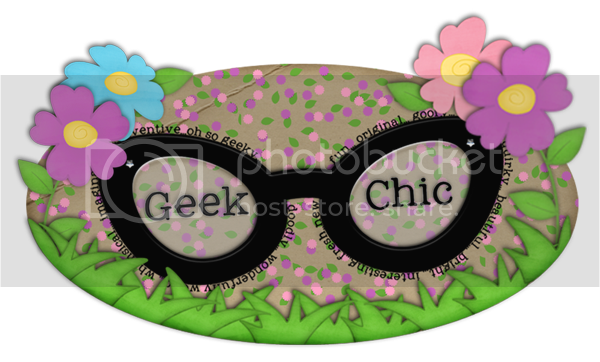 A fresh fun new release from your very favorite Geek at Polka Dot Plum- and it's 20% off today only! A little Geek Peek of Wednesday's release! So now that we're saying (I dearly hope) goodbye to Winter, here are your Geeky Gal's favorites! This is a hard one for me to choose, as a mom, there are so many of those little moments that etch themselves into your memory as your kids grow, and they're all precious. I'm sure I should probably choose something more concrete than the way Kat's hair smells after her bath, or how cute she looks in her piggy pajamas- but I can't seem to! I guess for me this winter was Kat's big transition from baby to little girl- a really cool little person with her own opinions, ideas, and preferences. It's been an amazing process, and it's happening more every day. When I look back at this winter, that's what I'm going to remember. 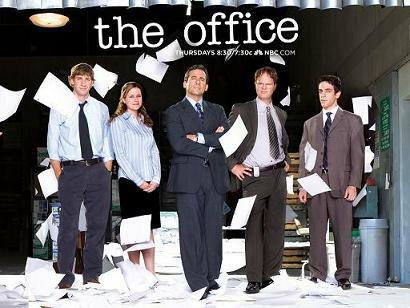 Hmm, I don't watch a ton of TV- but I've been watching 30 Rock and The Office pretty much all winter- I wasn't thrilled with the season openers, but I am liking the newer episodes I've seen! I made a LOT of homemade Banana Nut Bread this year, and everyone in the house seemed to really love it. It definitely makes for a nice yummy breakfast, and I don't even have to beg Kat to eat it! I love making it with fresh whole ingredients so I know that even though it's a 'treat' to Kat, that she's still getting lots of great vitamins and nutrients. My friend Jen coming up here with her son Johnny for Kat's birthday. It was such a fun week, and we spent so much time together, and getting to watch Kat and Johnny together was just a ball. It was nice to see some of my old friends again- it eases the homesickness! So I'm ready to welcome Spring now- officially! You hear that Michigan? Keep that snow they say we're getting next week, and bring me some Springtime!! And just for your viewing pleasure- here is a little bit of inspiration from our Crazy Cute Creative Teams! 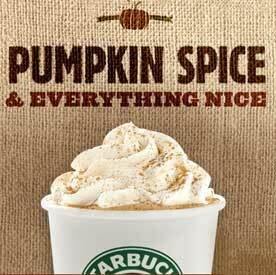 I LOVE what they did with this! Today is a happy day! I'm officially exclusive at Polka Dot Plum- yay! 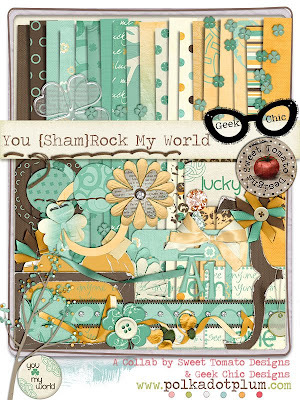 Plus I get to show you a little peek of the funky rocking collab I did with Simply.Scraps! It's releasing tomorrow at Polka Dot Plum, and on Thursday at Laura's store at The Digichick! Remember- tomorrow only it's 20% off at Polka Dot Plum for New Release Day! See you tomorrow for the full reveal! My final day at GingerScraps will be tomorrow- but don't be too sad- for 2 days only my entire GingerScraps store is 40% off! Be sure to grab these deals before they're gone! Don't worry too much my Geek Fans- your Geek isn't leaving you- I'm still at PDP and there are more exciting things to come! For now enjoy this fabulous sale for 2 days only! All 20% off today only at Polka Dot Plum! The Tooth Fairy and more 'Fetti Templates! New today from Geek Chic Scraps- The Tooth Fairy! Don't be fooled, there's more than just cute fairies and teeth to this kit! This is chock full of versatile fun pieces that can be used for boys and girls! Just check out below what my CT has done with it- they're amazing! Also new today- 2 more entries in my very popular 'Fetti line- Heartfetti and Springfetti! These are CU friendly, but great as a scrapping tool as well. My CT just can't seem to get enough of them. Each pack includes 5 different scatters including a border scatter and an overlay scatter. The shadows are on separate layers and it's completely customizable! Just clip your papers to the paper layers and you have an instant confetti scatter!